Find what you are looking for without expecting it; that peace of mind, that idyllic place bathed in the sun that you yearn for, the sea that you long for, and the quality that you deserve to enjoy; all planned in detail to live your life to the fullest. 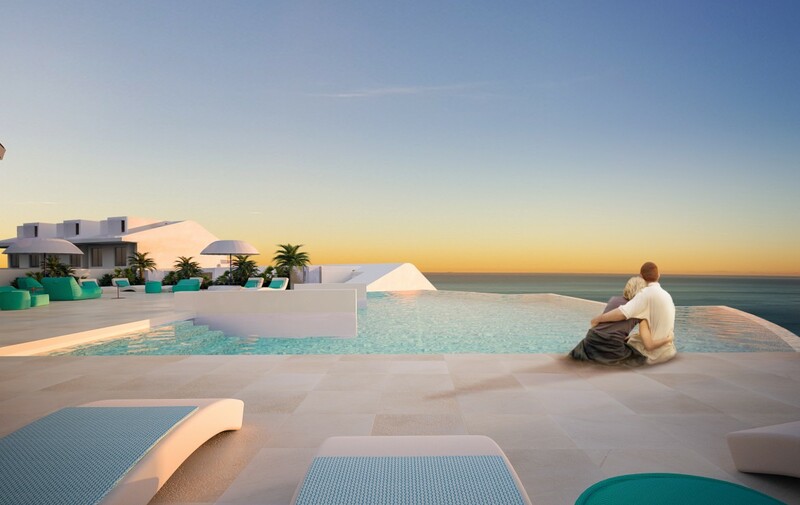 With its avant-garde lines, the design of this residential complex has been conceived by architect J. Daniel Rodríguez and created by the union of two companies of recognized prestige in the world of urban development on the Costa del Sol: Reserva del Higuerón Privé and Grupo Ansán. 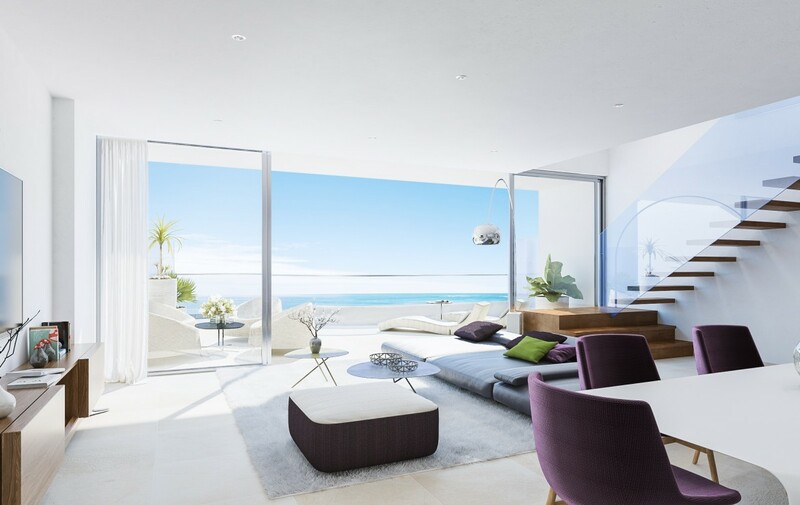 The apartments all face the Mediterranean Sea, and are created with loftiness, a fusion of housing with the outside world, light open spaces are abundant in each home. 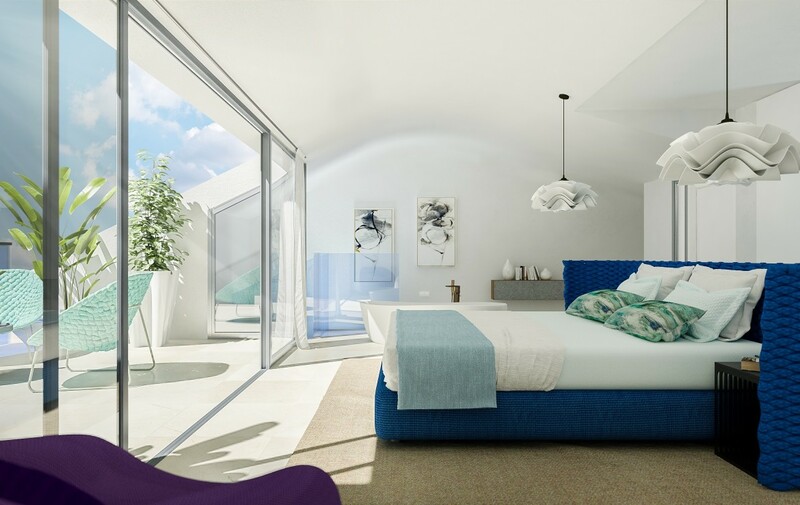 The complex has a very special location, probably the best in Benalmádena; a balcony overlooking the Mediterranean Sea and an area of powerful energy, next to the Buddhist Stupa of Enlightenment. 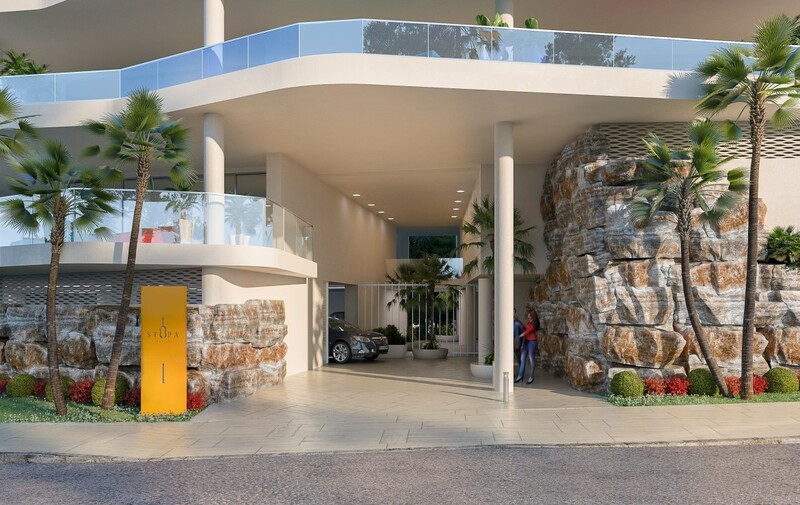 It is a strategic and very well-connected spot on the Costa del Sol, with nearby access from the AP-7 motorway, AVE-trains and international airport in Malaga, just 10 minutes by car. 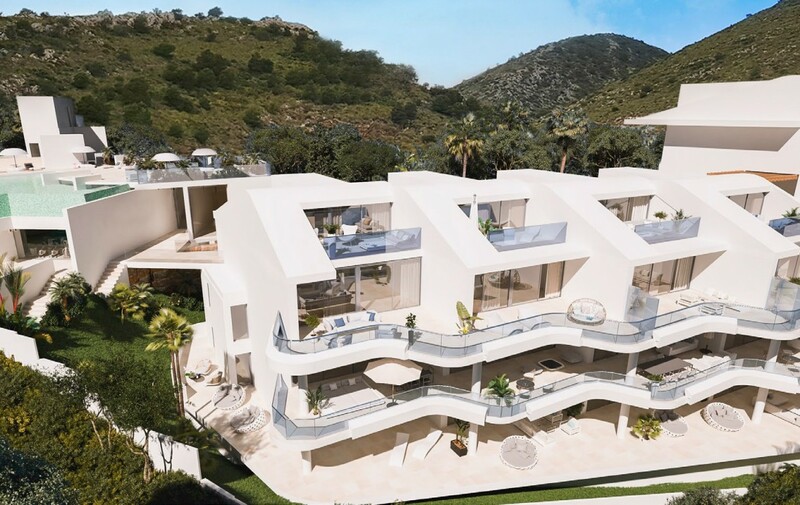 Marbella, 30 km away, Puerto Banus; Sotogrande, 90 km away and Malaga, only 20 km away, all these make the location of Stupa Hills a strategically located home between heaven and earth. We have created a fusion of interior and exterior areas so that light, sun and breeze can flow in a new concept of the use of spaces. All of this with high quality, avant-garde and exclusive design, created to amplify the sensations of tranquillity and peace of mind. 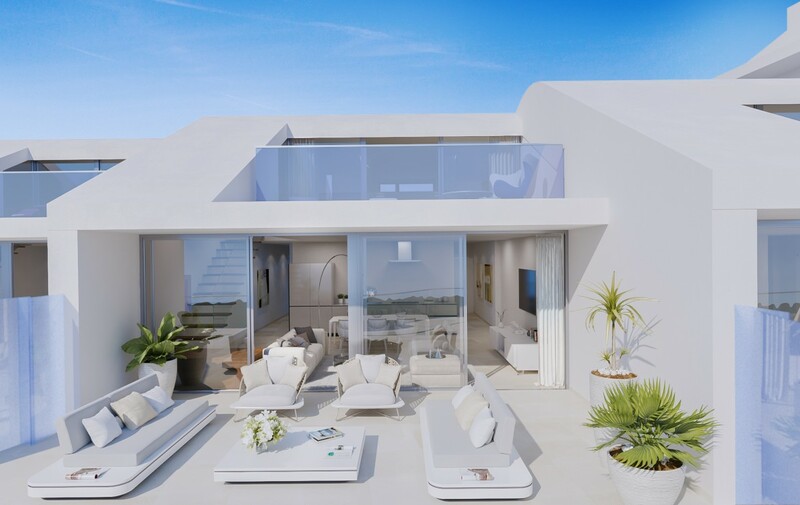 Porcelain ceramic floors, noble materials, house automation, enclosures with thermal bridge breaks, security doors, underfloor heating and special terraces are some of the exceptional details you will find in your new home. The Fermax Smile Touch System will be the home automation management system for your home. It will allow you to manage the video intercom functions and control your home from a single 7” touch screen. 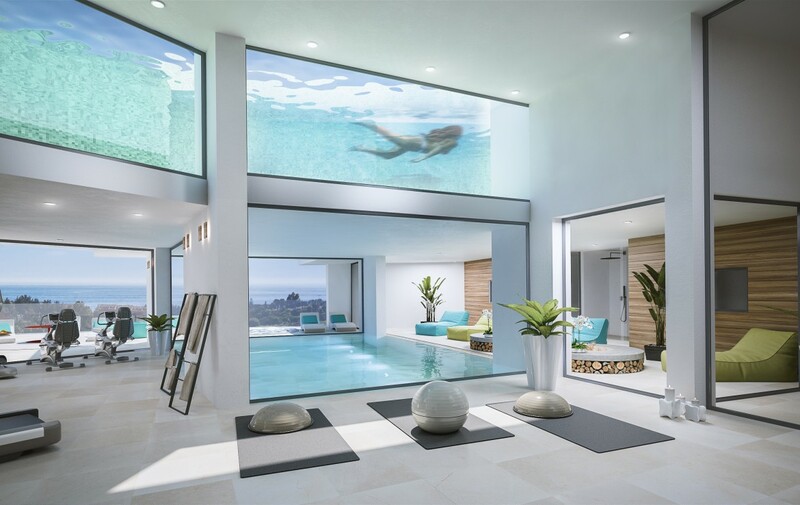 Navigate through rooms, operate environments and control at any time a multitude of parameters for a home to your liking. Plus, you can access the system via mobile devices when you’re away from home.